Leaky faucet? Toilet needs attention? What do you do? Why visit Trevor’s plumbing department, of course, where you can find everything you will need for that do-it-yourself project. We can help you replace the plumbing under the sink too, so it’s just one quick stop close to home for all your repair needs. You can even pick up a faucet and get matching bathroom fixtures or special order in a toilet. Whether you have a plumbing emergency or new D.I.Y. project,Trevor’s experts can help with what you need with fast answers and fast shopping. Over 25,000 hard to find replacement parts in-stock, Trevor’s can make your “do-it-yourself” project more of a “do-it-together” project. All are in-stock and pipes Trevor’s can thread and cut to any length you need! 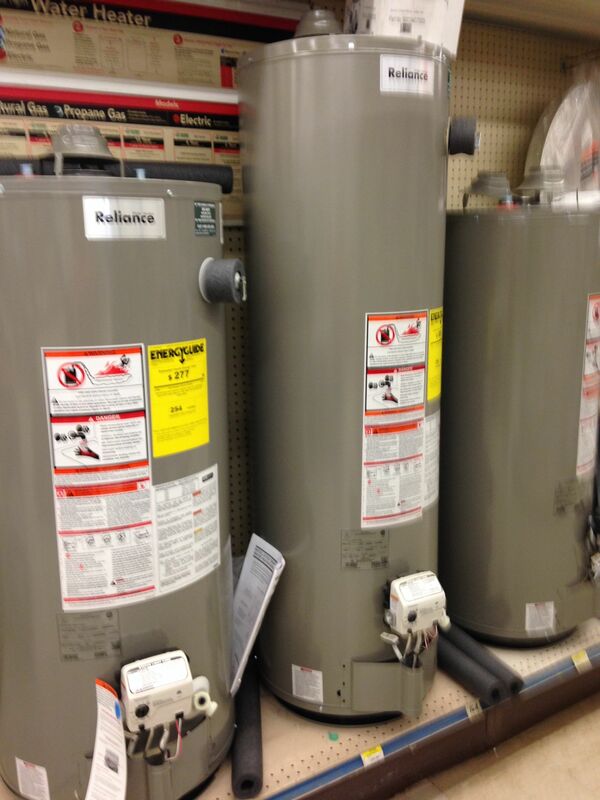 Water heaters, softeners, air conditioners, fans and heaters are available all year.